Boston Round flint and amber glass bottles with brush caps. 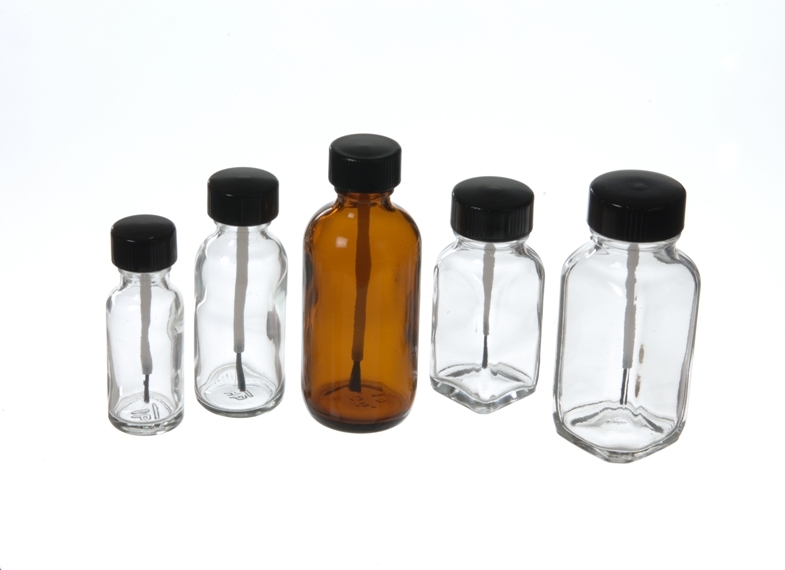 These brush cap bottles can be used for many different applications. Ideal for hobby kits and touch up paint.